Finding water anywhere in the house is usually a bad sign. But seeing this in your A/C’s drain pan is a completely normal scenario unless of course, the water is overflowing. So what’s causing your drain pan to be filled with stagnant water? Read on and find out! What’s the Function Of Your Drain Pan? Let’s start with the basic. What does a drain pan do in your system? A drain pan is vital equipment of your unit as it serves as a reservoir which carries water to the drainpipe. The drain pan and pipe are responsible for removing excess water from the evaporator coils. If the drain pan fails, the water will not be properly channeled out of your home and may cause serious mechanical damages in the system. 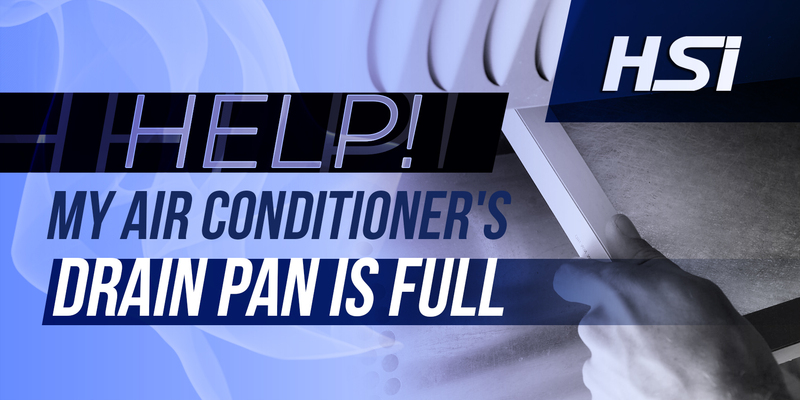 The most common cause of water issue in the pan is a clogged condensate line. This is primarily due to dirt, dust and other particles that flow with the water and get stuck in the pipe and since the drain pipe is a moist area, algae and mold buildup can also block the line. It is important to solve the issue fast to prevent water from overflowing in the pan causing damages in the system and to your home. What Should You Do With A Clogged Drain Pipe? Turn your air conditioner off. Use a wet/dry vac to empty the drain pan. Remove particles and debris from the drain. Be sure also to remove leaves and other debris at the end of the drain pipe where water exits your home. Remove the cap from the condensate line and clear the blockage with a sturdy wire brush. When cleared, slowly pour a cup of bleach into the pan to remove algae and molds. Replace the cap and turn your A/C back on. The issue of stagnant water in the drain pan is another reason why you should not skip your regular HVAC maintenance schedule. So instead of coming home with great discomfort, call us at Hightower Service Inc. and schedule a preventive maintenance visit today. Our friendly professionals will ensure that every part of your A/C is running smoothly and properly. Schedule an appointment now!